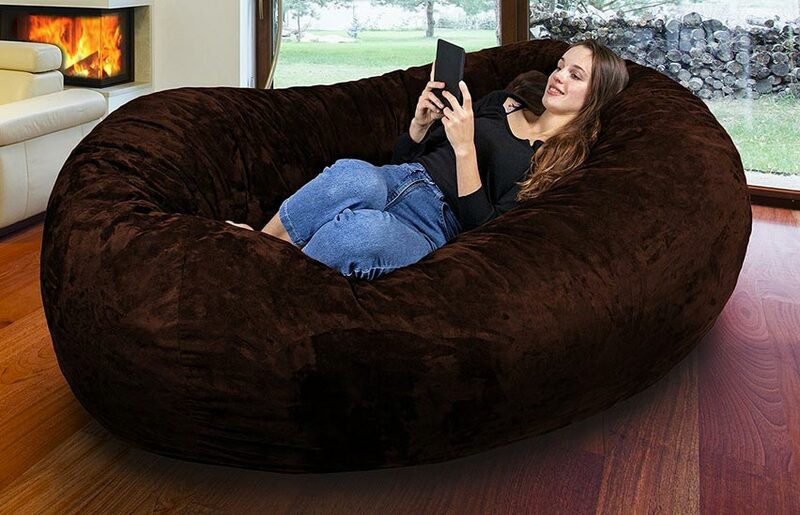 Here is a giant bean bag chair with enough space to accommodate multiple people. 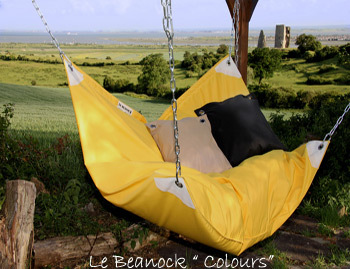 The Panda Sleep Gigantic Bean Bag Chair is soft and comfortable. 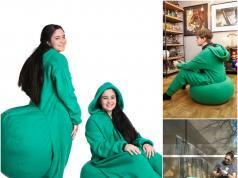 It measures 28” H x 48” W x 48” D and has a triple-layer Hypercomfy fabric to withstand regular use. According to the manufacturer, you are going to need a floor space of 60″ x 60″ for this. 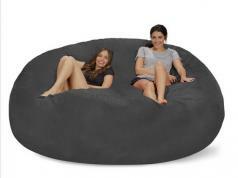 You can use this bean bag as a huge bed, sofa, or lounger.